Fiscal responsibility: John McCain advocates a more aggressive approach towards balancing the federal budget. US senator John McCain opposed the 2001 tax cuts and favours a more aggressive approach to balancing the federal budget. He says the health care sector inefficiently produces poorer outcomes than Western Europe at a higher cost; hence he favours reducing medical spending. Additional revenue sources would include the sale of “cap-and-trade" carbon emission permits. For those who believe fiscal responsibility is the issue, McCain looks a good fit. The long-serving Arizona senator’s outlook is shown by his choice of economic adviser, Douglas Holtz-Eakin, who is an economist. While head of the Congressional budget office in December 2003, Holtz-Eakin produced an alarmist report showing that medicare spending would swallow the entire federal budget by 2050. 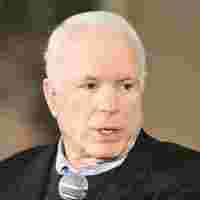 McCain believes in taking an aggressive approach to the most difficult problems. Hence, he would attack the combined medicare and social security deficits through premium increases and tighter spending control. On trade, McCain favours multilateral, rather than bilateral agreements, believing the latter are too limited to have much effect. He believes free trade talks are like a bicycle; if you stop pedalling you fall off. So he would favour an aggressive approach to closing a Doha or successor round of talks. He is unique among candidates of both parties in opposing ethanol subsidies, which are strongly favoured by most voters ahead of the Iowa caucus. However, McCain is aggressive on foreign policy, which could be expensive. There would be no “peace dividend" from ending sustained involvement in Iraq. There could however, be savings from aggressive scrutiny of the Pentagon’s weapons procurement, though McCain believes the army and marines need to be beefed up, particularly their special forces. For those who prefer traditional Republican “root canal" economics to the soft options presented by presidents from Ronald Reagan through George W. Bush, McCain seems an attractive alternative.